Hewlett Packard - ATI Radeon HD 2400XT HP ATI Radeon HD 2400XT 256MB S-Video DMS-59 PCI-Express Low Profile Graphics Video Card 462477-001. 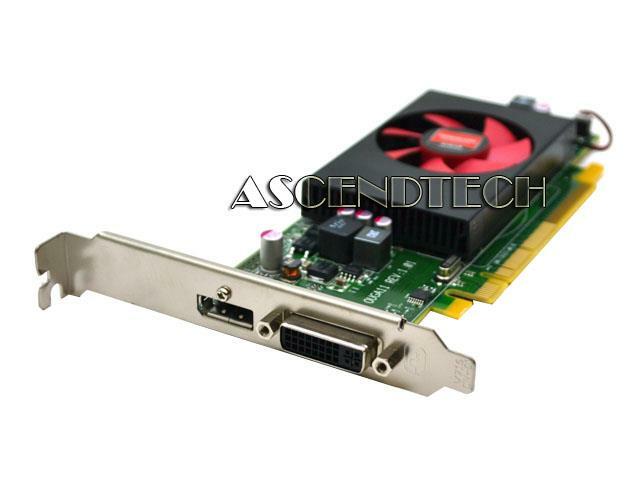 Hewlett Packard - AMD Radeon HD 6350 512MB HP AMD Radeon HD 6350 512MB DMS-59 PCI-Express 2.0 Low Profile Graphics Video Card 637995-001. 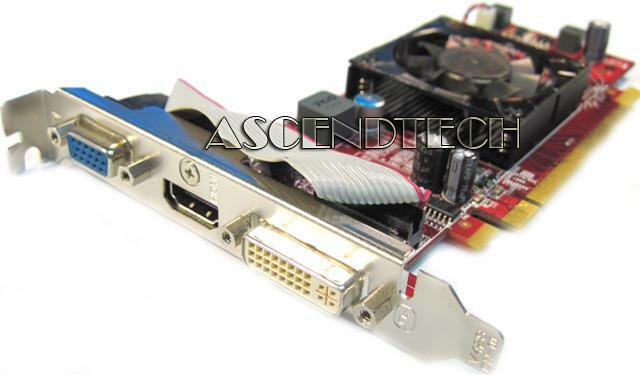 Hewlett Packard - ATI Radeon HD 2400XT 256M HP ATI Radeon HD 2400XT 256MB S-Video DMS-59 PCI-Express Low Profile Graphics Video Card 462477-001. 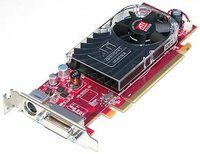 ATI - RADEON HD 3450 LP 256MB Dell ATI Radeon HD 3450 256MB S-Video DMS-59 PCI-Express x16 Graphics Video Card Y104D 0Y104D CN-0Y104D. Dell - ATI Radeon HD 3450 256MB Dell ATI Radeon HD 3450 256MB S-Video DMS-59 PCI-Express x16 Low Profile Graphics Video Card Y103D 0Y103D CN-0Y103D. VisionTek - Radeon HD 6350 VisionTek ATI Radeon HD6350 1GB DDR3 Dual DVI-D mini-DP PCI-Express x16 Low Profile Graphics Video Card VTK-400868PC 7R6RX 07R6RX CN-07R6RX. Hewlett Packard - AMD Radeon HD 6350 HP AMD Radeon HD6350 512MB DDR3 DMS-59 PCI-Express x16 Low Profile Graphics Video Card 697246-001. 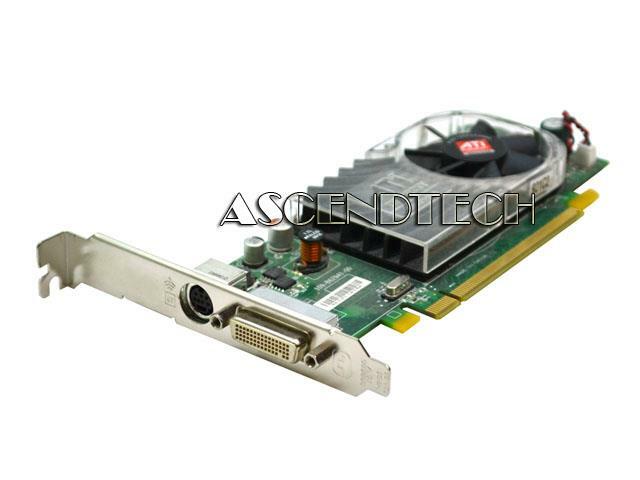 Hewlett Packard - ATI Radeon HD 4550 HP ATI Radeon HD 4550 256MB DDR3 S-Video DMS-59 PCI-Express 2.0 x16 Graphics Video Card 538051-001. 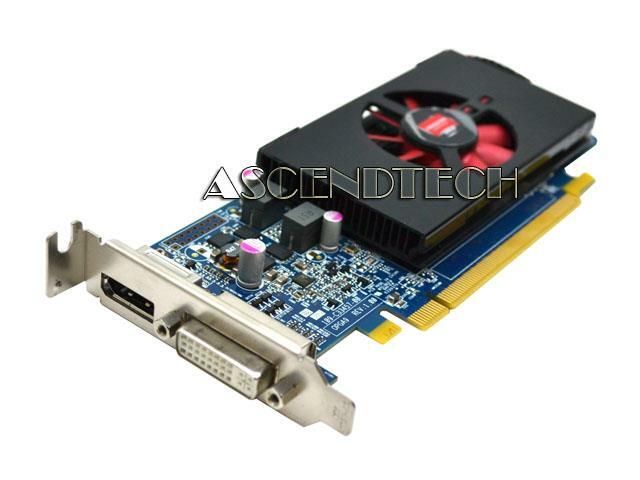 Hewlett Packard - AMD Radeon HD6350 512MB HP AMD Radeon HD6350 512MB DDR3 DMS-59 PCI-Express x16 Low Profile Graphics Video Card 697246-001. Dell - Radeon HD 3470 Dell ATI Radeon HD 3470 256MB GDDR2 Dual DisplayPort PCI-Express 2.0 x16 Graphics Video Card W459D 0W459D CN-0W459D. Dell - ATI-102-C26405 Dell Radeon HD 6450 1GB DDR3 64-Bit DVI DisplayPort PCI-Express 2.1 Low Profile Graphics Video Card M0KV6 0M0KV6 CN-0M0KV6. Asus - ATI Radeon HD 5450 ASUS ATI Radeon HD5450 1GB DDR3 D-SUB HDMI DVI PCI-Express 2.1 x16 Graphics Video Card EAH5450 SILENT/DI/512MD2/LP. 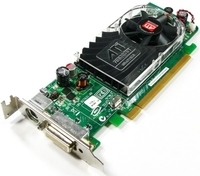 AMD - Radeon HD5470 Genuine Original AMD Radeon HD5470 1GB MXM Video Graphics Card 109-C07731-00. AMD - ATI Radeon 8490 AMD ATI Radeon HD 8490 1GB DDR3 Profile Full Height Desktop PCI-E x16 DVI DisplayPort Video Graphics Card 712198110G 7W12P 07W12P CN-07W12P 109-C55357-00. 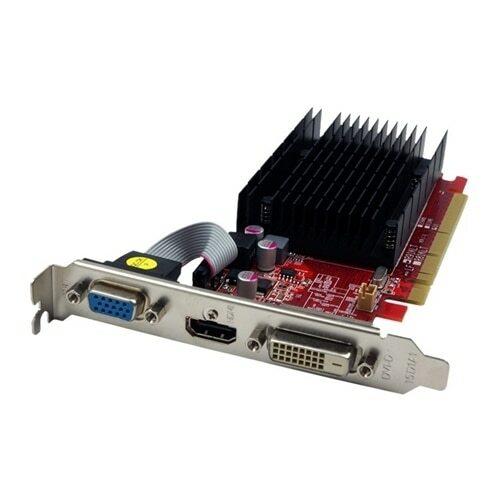 Hewlett Packard - Radeon HD4350 M8525F ATI Radeon HD 4350 M8525F 512MB PCI Express Video Card with VGA DVI and HDMI Connectors. AMD - Radeon HD7570 AMD Radeon HD7570 1GB PCI-Express Low Profile DVI DisplayPort Video Graphics Card 4C5DK 04C5DK CN-04C5DK 109-C3457-01 ATI-102-C33402 (B).